HMS Belfast is moored on the River Thames as a floating museum ( part of the Imperial War Museum ) An iconic ship that in certain conditions takes on a very different character. 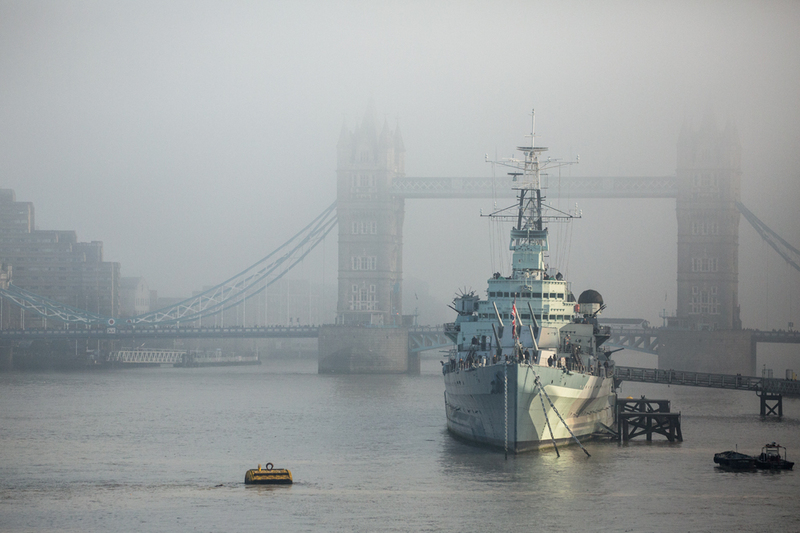 As seen here in fog, with Tower Bridge in the b/g. A sense of the past.